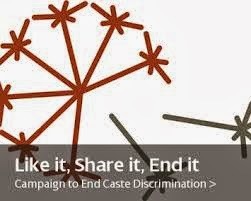 In a resolution with far-reaching implications for Indian policy makers, the European Parliament, which met in Strasbourg, Austria, has declared that caste-based discrimination in several Asian countries, including India, should be treated on par with other grounds of discrimination such as “ethnicity, race, religion, gender and sexuality”. 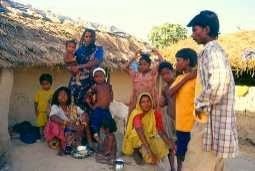 Passed after a debate opened by Green member of European Parliament (MEP) Eva Joly, prior to adopting the resolution, several MEPs argued that “goods from caste-affected countries should be boycotted”, the International Dalit Solidarity Network said in a statement from its office in Copenhagen. Tabling the resolution, Joly, who is chair of the Committee on Development, said that Prime Minister Manmohan Singh had compared caste discrimination in his country to South Africa’s apartheid. “Despite this declaration, despite the abolition of ‘untouchability’ in the Indian constitution, despite laws, 260 million people worldwide is suffering daily from atrocities committed with complete impunity,” Joly said. Pointing out that the Organisation for Economic Co-operation and Development (OECD) Guidelines and the ISO 26000 Guidance on Social Responsibility, “specifically mentions caste-based discrimination as a serious form of discrimination”, the resolution urges the Commission and the European External Action Service (EEAS) to “mainstream the fight against caste-based discrimination in EU legislation, policies and programming documents and to adopt operational guidelines for its implementation.” OECD is the apex body of western developed countries.